Whether you greet the holidays with grins or groans, decorating for Christmas is a crucial activity at most cultural heritage institutions. Special holiday programs are important for community outreach and often serve to attract new audiences. The winter holidays provide opportunities for some groups to be engaged with your institution creatively, by allowing them to participate and, in some cases, even design Christmas decorations. Despite the benefits of Christmas decorating for your site, these activities present several dangers to your collection. Depending on your situation, you can either eliminate or mitigate them. Limit the numbers allowed to work in an area at any giving time. Provide training in object handling to all involved in decorating beforehand. Do not use collection ceramics (no matter how stable the glaze appears) as vessels for real vegetation. Water and any moisture from decay will seep into small chips, cracks, and crazing and may stain the artifact. 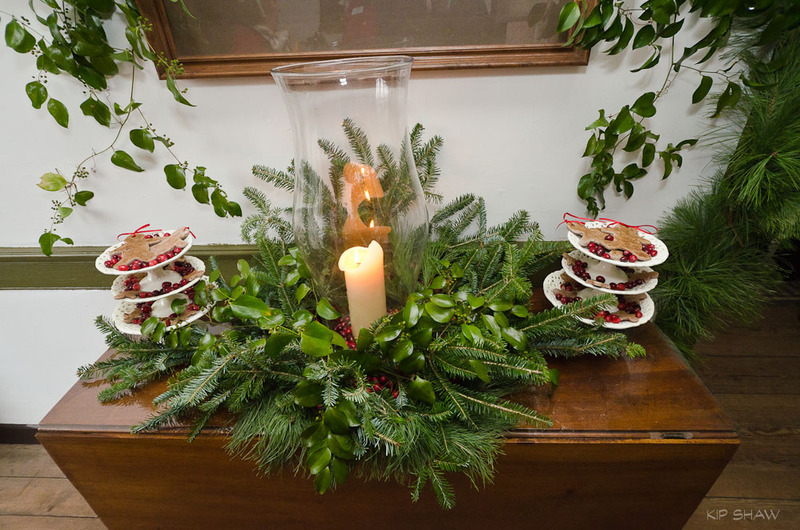 Place a mylar barrier layer on tabletops and mantels that hold various arrangements. This will help protect the wood or stone from the moisture real plant materials contain. A wide variety of artificial boughs, flowers, and foods can help outfit your site in holiday finery. Remember that historic structures and architectural elements are your institution’s primary artifacts—whether or not they are accessioned. Because plastic pine boughs, for instance, can be even more abrasive than real ones, take care to place ribbons or other soft fabrics at strategic points to help protect historic woodwork. Avoid staple guns and other destructive methods of attachment. If you are able to shift away from real vegetation, new primary-source research can help lessen the sense of loss that docents and other community members may feel about forgoing real greenery. Basing artificial decorations on holiday descriptions from the time and place of your site’s interpretation can make history come alive in new ways for participants. 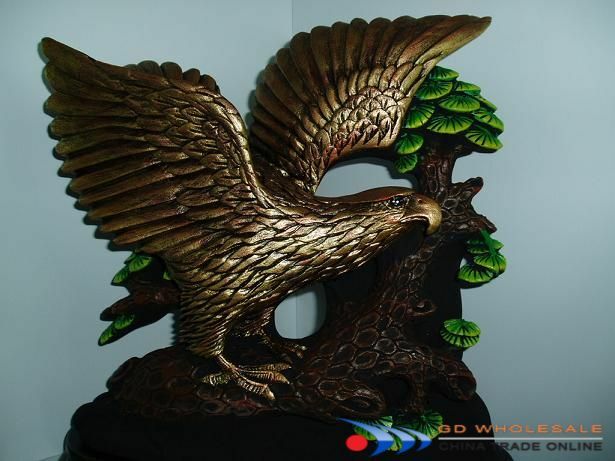 Several artificial plant companies will even produce items according to your institution’s customized specifications. Most members of your audience will concede that it’s better to share a real story about the past at Christmastime than to harbor insects and fungi from the present. Does your institution invite community participation in its holiday decorating process? What changes has your organization made in its decorations over time? Giving Thanks or Charging for Donations? Many of the tips we distribute through our workshops around North Carolina and on this blog suggest supplies that cost money. We are limited in only being able to offer guidance for cultural heritage institutions in their perpetual quests to find funding sources. Most of the cultural heritage practitioners we reach have tremendous ideas and itty bitty institutional budgets. Taking the time to apply for grants and other forms of fundraising can absorb a great deal of precious time, especially with downsized staffs and economies. We all need to remember, however, that seeking financial support from within the communities we serve is an essential outreach activity. People are much more willing to donate to projects and places they recognize as fulfilling a significant purpose. The exposure and feedback that local fundraising activities generate will help your organization further its mission. Heritage Preservation, the organization sponsoring the national Connecting to Collections initiative in partnership with IMLS, has created an online publication with advice on fundraising for collections care. This great resource will help you prepare for fundraising efforts, especially by providing pointers for approaching individual donors. One of Heritage Preservation’s recommendations, however, is not yet standard in our NC museum community and has both pros and cons (see slide #9). HP recommends creating fact sheets for the costs associated with the perpetual care for individual artifacts of varying types. For instance, a quilt accession cost fact sheet would include the costs of a large textile box and padding materials such as acid-free tissue or stockinette and polyester batting; a silver accession cost fact sheet would include yardage of Pacific silvercloth or corrosion intercept. These fact sheets could also include the costs of a portion of shelving, estimates of staff time required for processing, etc. HP suggests distributing the appropriate fact sheet(s) to all potential artifact donors and then either urging or requiring them to include the estimated funds with the donation. Your institution raises money for collections care. Your institution educates board members and individuals about the costs associated with each accession. Your institution deters some people from donating artifacts. The potential donors most likely to accept the charge-to-donate procedure would be from the wealthiest sector, one usually better represented already in cultural heritage collections. Your institution may miss opportunities to collect important aspects of your community’s cultural heritage. Even if your institution decides against adopting the policy of charging for donations, gathering the fact sheet information may be useful in order to help achieve the goals listed in the “Pros” section or to complement an “adopt an artifact” fundraising program. It’s worth reviewing Heritage Preservation’s resource and having an internal debate over what ideas might benefit your organization. Why not pick a few and try them out? What events and/or approaches work best for your insitutional fundraising? Digitization is a low-cost solution for both documenting and providing access to the samplers in your collection. Nick Graham, the lead instructor for C2C’s digitization workshops, heads up the North Carolina Digital Heritage Center, based at UNC Chapel Hill. The Digital Heritage Center’s latest project is an online exhibition of samplers from various collections across the state. Currently, examples come from three institutions: UNC’s Carolina Collection, Greensboro College, and Orange County Historical Museum. Don’t let your sampler collection go unrepresented. Digitizing your artifacts is a free service the Digital Heritage Center provides to all NC cultural heritage institutions. If you can arrange transport for your samplers, Nick and his staff will do the rest and include your treasures on the sampler exhibiton site. Or, if your pieces have already been digitized, you can submit photographs of your collection. 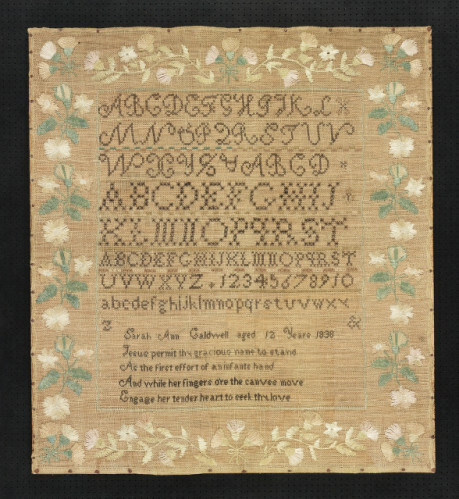 Samplers are especially vulnerable to damage because the makers and families often hung them as decoration, consequently exposing them to light over many years. Also, the backing boards of the original frames are often acidic and have stained the fibers overtime. Current institutional stewards must preserve them, despite embrittlement and fading from past conditions. Unfortunately, many of these fragile artifacts are on exhibition and continue to be exposed to light. Reproduction is an important solution that allows continued access to these documentary artifacts. Historic Hope Plantation is one small institution that has digitized its sampler collection in order to both preserve and exhibit these works. The digital images have been printed on high quality paper, framed, and displayed in the central hallway of the site’s Roanoke-Chowan Heritage Center. This location allows visitors to the institution to view the reproductions closely. Yet it is difficult for many to notice that the framed works are not the originals, which are now safely stored in acid free boxes. Salem College’s archives has begun a similar project and plans to include images of their samplers in the NC Digital Heritage Center’s online exhibition. The more institutions and regions that site can represent, the richer it can be as a research resource. 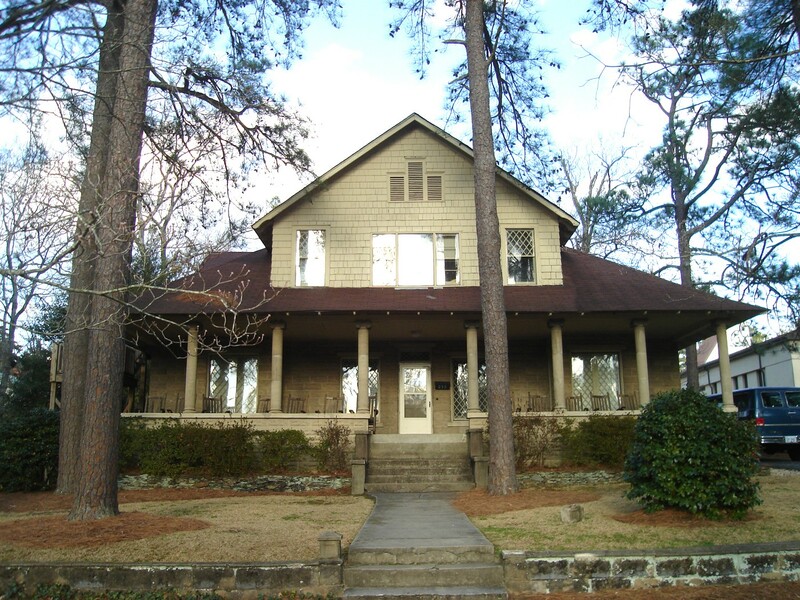 According to the Moore County Historical Association’s website, “Our dreams are ambitious, but the Association has a history of doing the seemingly impossible through sheer enthusiasm and hard work.” An exemplary episode of that history occurred in 2006 and 2007, when the Historical Association held architectural salvage sales. Why? 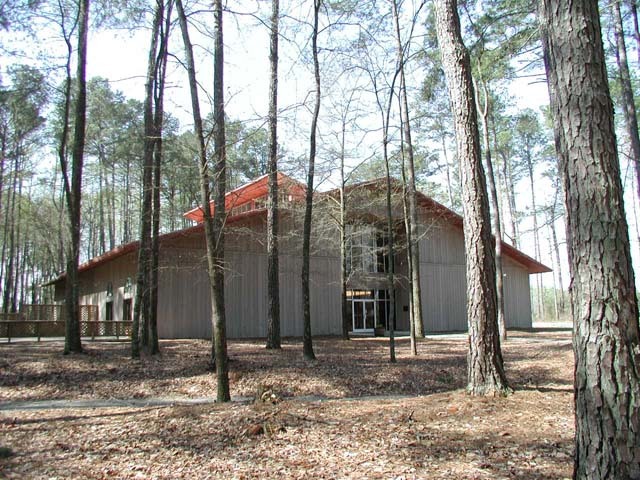 : In 2006 the group learned that a church in Southern Pines was planning to tear down four early twentieth-century houses to make room for an expansion. The structures could not be moved off the church’s property and relocated because city statutes prohibited the removal of the large trees that would have prevented vehicle access. Silver Lining: Historical Association leaders, disappointed by the prospective loss of their community’s historic architecture, decided to make the best of a bad situation and enable the houses to become, as one trustee termed it, “old house organ donors.” With the church’s agreement, wood flooring, windows, millwork, appliances, and more found new life in and around other Moore County homes. The Historical Association found that a website-accessed silent auction worked better than an in-person sale with preset prices. The group found it to be more fair to prospective buyers than first come, first serve, and the auction generated more proceeds. Buyers were responsible for removing the items from the houses themselves; most buyers had experience with restoration and so this requirement was not a problem. For those unable to remove puchased elements, the Historical Association supplied a contractor at an additional charge. Buyers had to sign a waiver, based on a similar one Habitat for Humanity gives its volunteers, stating that they would not hold the church or the Association liable for any injury resulting from their salvage activities. Worthwhile Results: Besides the additional funds that the Historical Association earned from the sale, the Moore County story had many happy endings. One new house was specifically designed to highlight the diamond-shaped, multi-paned windows salvaged from the Prizer house. A sidewalk in downtown Cameron now contains bricks from the exterior of another demolished house, and several area homes incorporated old heart-pine floors from the salvage sale. Ultimately, the Historical Association furthered its own mission by facilitating the preservation of parts of local historic houses, despite the destruction of the wholes. A few steps within the main entrance to the VA Medical Center in Asheville, NC you see a couple of flags, a few words printed and framed, and a black and white photograph of a young man in uniform. Hundreds of people walk past this wall every day; few stop to notice the flags are from the 45th Infantry Division and the Eastern Band of the Cherokee. The young soldier in the photo is Charles George, and the words describe an unimaginable act of courage. The fifth child of Mr. and Mrs. Jacob George, Charles George was born in Cherokee, NC on August 23, 1932. A full-blooded Cherokee and member of the Bird Clan, Charles George (Charlie) grew up alongside the Oconaluftee River with his family, living a simple mountain life. Charlie attended the Indian School in the Qualla Boundary of Western North Carolina, and he spent most of his free time hunting and fishing. He was a quiet young man, a good shot with his rifle, and generous to anyone he met. Charlie would offer anything that he had hunted or caught to passersby, be they a member of his Clan, a fellow Cherokee, or someone from outside the Nation. If not for the Korean War, Charles George might have lived a long, simple, unremarkable life in the Appalachian Mountains. However, in 1950 his country went to war, and at age 18, he enlisted in the United States Army. Assigned to Company C, 179th Infantry Regiment, 45th Infantry Division, Charlie fought throughout the Korean peninsula. In mid-November 1952 Company C received orders to launch another assault in order to take a hill and capture an enemy soldier for interrogation. It’s unknown how many times Charlie had gone on missions to engage the enemy; however, that night was different. That night Charles George displayed conspicuous gallantry and outstanding courage above and beyond the call of duty by giving his life to defend his nation, complete his mission, and save his friends. 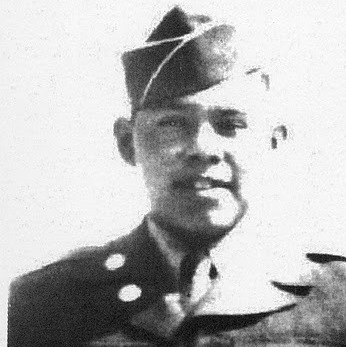 Charles George’s parents never learned English, and had never ventured beyond the Qualla Boundary until they traveled to New York to receive their son’s Medal of Honor in 1954. Afterwards, his father carried the medal in his pocket wrapped in a handkerchief. There was no need to put it away on a shelf, because the metal and ribbon connected him to his son. With honor, grief, and pride, Jacob George often wore the medal at gatherings and celebrations. 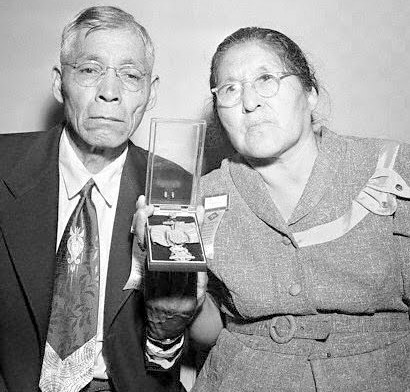 Eventually, Charles’ younger brother Alfred inherited the medal and donated it to the Museum of the Cherokee Indian in Cherokee, Swain County. 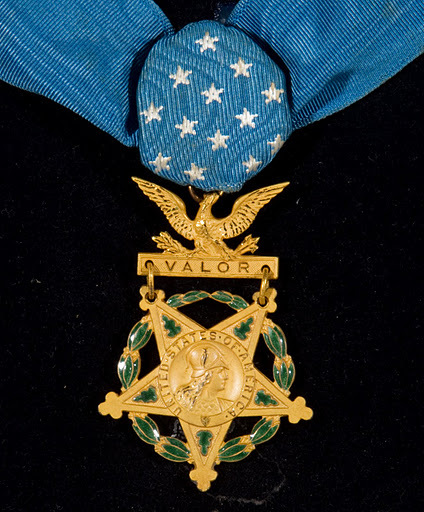 You can learn more about Charles George, read his Medal of Honor Citation, and watch videos of ceremonies honoring this man at the Charles George VAMC Web site . And if you are ever in the lobby of the Charles George VA Medical Center, please take a moment to stop at the wall honoring the man for whom the facility was named, and pay your respects to this quiet warrior from Birdtown. 3M strips: These inexpensive paper strips are good to include in cases with tarnish-prone metals on display or inside pieces of hollowware. Their pollutant-trapping capacity lasts about 6 months in a closed case or box, so the strips need regular replacement. The best buy we’ve found on this product is $4.73/10 pack at Cool Tools. microchamber board: Conservation Resources has developed this product by adding activated carbon and zeolites to archival board. Microchamber storage boxes offer the artifacts inside a level of protection from pollutants. They can also absorb pollutants that some artifacts (especially ageing plastics) emit as they degrade, thereby protecting the rest of the collection. microchamber emulsion: Conservation Resources also developed this black paint as another pollutant-trapping option. 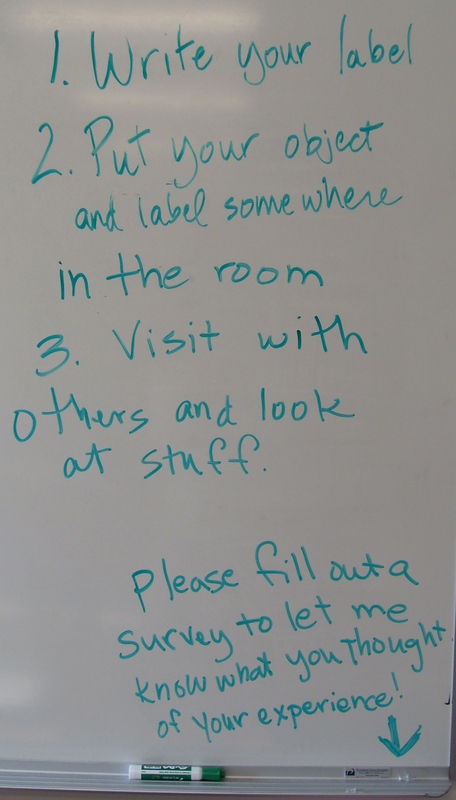 This may be particularly useful for constructing exhibitions involving especially sensitive materials. 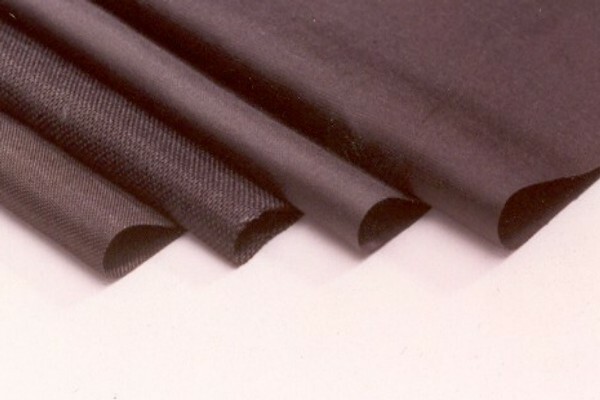 carbon cloth: Developed as a military technology, activated carbon cloth has both pollutant-trapping and humidity-buffering characteristics. It is expensive, but might be worth considering for use in artifact mounts when there is an imperative to exhibit materials prone to pollutant damage. The cloth is available in small quantities from both University Products and BuyActivatedCharcoal. customized 3-dimensional objects: Some Chinese companies have recently started selling various sculptures made of activated carbon as decorative purifying agents. By ordering customized shapes that blend with a particular exhibit, museums may be able to offer another element of artifact pollutant protection. Remember that an ounce of prevention is worth a pound of cure. For instance, the goal is to protect, rather than clean, silver–not because collection managers are too busy or too lazy–but because every polishing removes a microscopic layer. Overtime, polishing contributes to noticeable losses of historic materials. Incorporating an activated carbon product into a display area is an important tarnish-reducing practice. Also, most collections contain plastics 50-100 years old, if not older. As these artifacts age, they release acetic acids, which will act as agents of decay on other artifacts. If complete isolation of such objects is not an option, then pollutant-trapping products are necessary for appropriate storage and display. So, why not try adding an activated carbon tool to your preservation arsenal? With time about to fall back (2:00 a.m. Sunday November 6, 2011), can you afford to spend a few minutes in the next week to test the smoke alarms in your home and institution? When was the last time you checked your smoke alarms? Last month? Last year? Or can you even remember? If you are not sure your alarms are working, how can you be sure they will protect you and your collection in the event of a fire? Fire safety experts recommend that cultural heritage institutions contract with an alarm service. To assist in finding one, the North Carolina Electronic Security Association’s website provides a directory of members. If your institution needs to purchase, mount, and monitor its own alarms, try to obtain dual sensor smoke alarms. These incorporate two types of detection technologies and can sense fast moving flames as well as smoldering smoke. Don’t gamble with your life, your collection’s perpetuity, and your visitors’ safety. Take time to check your alarm system, and remind staff to check and change the batteries in their home smoke detectors. 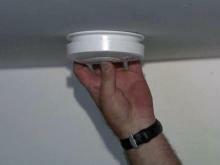 Going without the protection of a working smoke alarm is a risk too dangerous to take. In a fire, you’ll need every second possible to get out safely, and the early warning from a smoke alarm can make the difference between surviving a fire and dying in one. Let the end of daylight savings time be your reminder to test your smoke alarms today. Be vigilant in checking alarms at least semiannually. You can’t afford not to! This year the Institute of Museum and Library Services (IMLS) has teamed up with the 1st Lady Michelle Obama to promote the “Let’s Move! Museums & Gardens” initiative. An impressive array of North Carolina institutions have already signed up to participate. Several history museums and historic sites have planted gardens in order to develop programs about local crop production and historic foodways. Other institutions have focused programming on food consumerism and healthier choices. Since 2009, visitors to Hands On!-A Child’s Gallery in Hendersonville, NC have served up healthy portions at the Pick A Portion Cafe. Visitors use special plates to help determine appropriate portion sizes. Wooden fruits, vegetables, dairy, meat, and grains are available to place on the plates. A wooden blender allows visitors to whip up healthy smoothies. 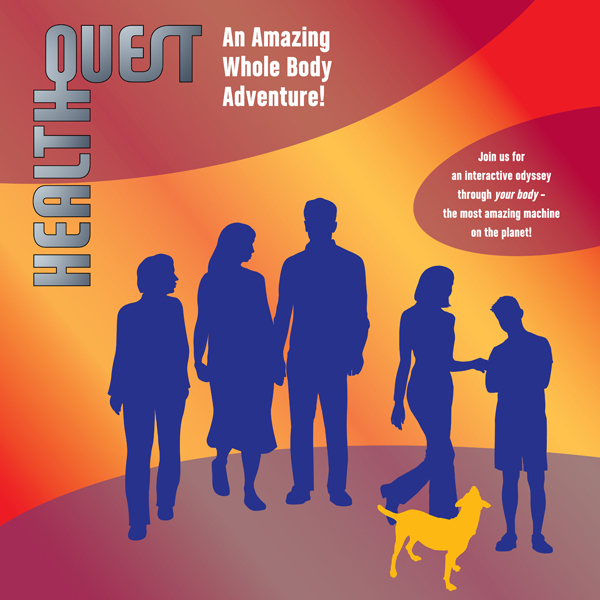 Similarly, the Natural Science Center of Greensboro features a “Health Quest” exhibition that includes computer-based interactives about healthy food choices. How can history museums and historic sites promote physical activity? The grounds at many historic sites are expansive enough to incorporate hiking and scavenger hunt activities. Promoting movement beyond stair climbing at history museums requires more creative thinking. Shelley Kruger Weisberg has written a book on Museum Movement Techniques (AltaMira Press, 2006), discussing her ideas for educational programs within confined gallery spaces. Weisberg builds on research documenting the power of physical activity to re-enforce conceptual learning, especially for children aged 7-11. In Weisberg’s programs, the facilitator challenges school groups (ideal numbers are 10-16) to imagine and execute movements that represent various colors and brush strokes in abstract art, as well as the scenes of more representational paintings and sculptural poses. Although most of Weisberg’s ideas relate to the fine arts, her work suggests possibilities for visitors to connect with the past through movement. Facilitators might encourage visitors to practice motions involved with loading a rifle, picking worms off tobacco leaves, or splitting wood—any number of labor-related objects and topics that may be unfamiliar to today’s audience. Sometimes reproductions may be helpful in these exercises, as feeling the weight of a rifle, for instance, would add to a participant’s understanding of the burdens a Civil War soldier had to bear. But even without such props, movement instruction relating to artifacts on exhibit could allow visitors a deeper understanding of the past those objects represent. Perhaps “Let’s Move!” can inspire us to come up with new activities to make the past come alive in more meaningful ways for the communities we serve. What movement ideas have been successful in your cultural heritage institutions?